As yogis, we know that there are countless reasons why we incorporate a yoga practice into our lives. The calm, the meditation, the stress relief, the strength, the flexibility, the energy….we could recite an endless list with a blissful grin on our lips. And we can’t deny that many of us are creatures of habit; we enjoy the discipline and the routine that a regular practice adds to our lives. There isn’t quite a more disciplined yoga practice than that of Ashtanga Yoga. There is very often a cloud of mystery around the meditative practice that might make some uneasy at the site of its listing on a studio’s schedule. To most it seems more physically demanding and rigid than other yoga practices. And the truth is, well, it can be, but in reality Ashtanga yoga is the very foundation for all styles of hatha yoga. Based on a systematic series of asanas, or postures, the Ashtanga format and postures are the building blocks for the different yoga practices that each of us know and love. 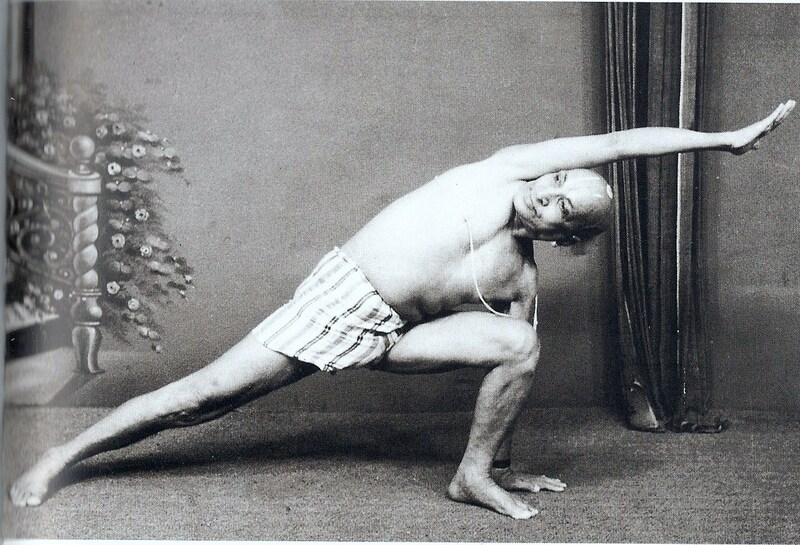 Developed by the father of Hatha Yoga, T. Krishnamacharya in the early 20th century and popularized by his student, K. Pattabhi Jois in Mysore, India, the practice was named for the eight-limbed (literally, ashta-anga) path outlined in the Yoga Sutras by Patanjali in the second century CE. It is through this committed hatha yoga practice of Ashtanga Yoga that each limb can eventually blossom and unfold, leading to Self liberation. What should you expect when you come to the mat for an Ashtanga practice? You will do the same exact postures every time, beginning with Sun Salutations A & B, then standing postures, then seated postures (if you’re doing the primary series. There are actually six series, with the last series including mind-blowing displays of what the human body may be capable of) and last are inversions and finishing postures. Sound boring? Well this practice is anything but that. Filled with numerous vinyasas, or flows, challenging binds, arm balances, hip openers, and most importantly an emphasis on pranayama and drishtis, or focal points, the practice can challenge your focus and commitment like no other practice. 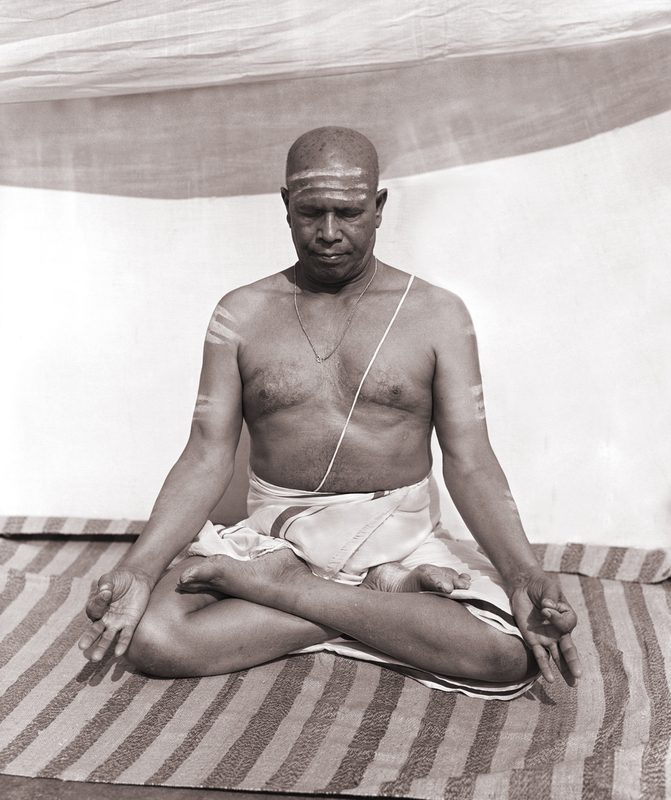 It’s hard to believe that Pattabhi Jois didn’t place any emphasis on the physical body when he, as a teacher, would not allow a student to advance beyond the posture that he/she was not able to get completely into. What does that mean? Basically, if you couldn’t quite meet the demands of a physical posture, that’s where your practice ended that day. Seems counterintuitive to the previously mentioned quote from the master, however, he wanted to emphasize that the limitations we inevitably encounter in our body are actually a mirror of the personal limitations and mental blocks that stop us from experiencing real freedom and personal contentment. As we move past these physical blocks through our practice the higher consciousness is revealed so we can eventually separate our ego from that being. Studnets practice Ashtanga Yoga in Mysore, India. To help keep our focus on our inner development and not the external, there is the deliberate incorporation of what student of Pattabhi Jois, David Swenson, calls “The Internal World,” which consists of breath, locks, flow and gaze, or prana, bandha, vinyasa and drishti, to guide us through this moving meditation. The sound of the breath is your mantra, the rhythm that keeps a single pointed focus for the mind. The locks and bandhas assimilate the prana or life force and help feed the subtle body and balance the gross nervous system. Flowing through the postures becomes a physical dance that connects our body with the music of the breath. And while the drishti connotes the fixation of our vision on an external point, it reaffirms our attention to the subtle or internal aspects of our practice. 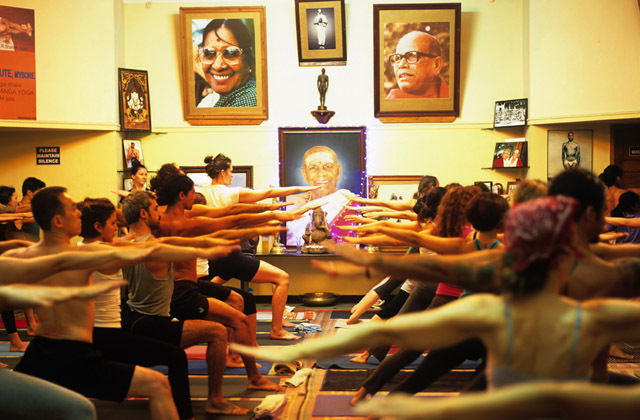 As a rapidly increasing number of people are drawn to the practice of yoga, different styles will continue to emerge to meet the growing demands of the “yoga marketplace.” Although we can appreciate how accommodating this entire practice of yoga is, it’s comforting to know that the direct Krishnamacharya lineage will not be forgotten through the Ashtanga Yoga practice. Yes, the postures and the flow are mesmerizing and visually stimulating to a passer-by, but the progression of the mind and ultimately the spiritual path can be life-changing to the practitioner. Like the postures themselves, the deep benefit of this authentic yogic process may not reveal its extent all at once. It is through repetition, discipline, focus and compassion that all will be revealed. We invite you to try out this sacred practice each Sunday morning at 8:00am & Thursday evenings at 5:45pm. Come explore the challenges of the body, but most importantly, the mind.